Showtune Sunday: It’s all about the legendary Liza Minnelli who celebrates her 73rd birthday this week! Morning Man Classic: Gregory Harrison! 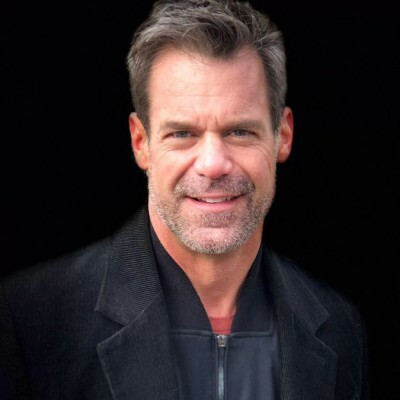 Tuc Watkins seems to be aging like fine wine. The talented actor and longtime Greg in Hollywood fave posted this new profile pic on Facebook earlier today and I had to share it with you. Tuc, the father of fraternal twins, first caught my eye as David Vickers on One Life to Live then as Malcom Laffley on the late, great Beggars and Choosers. He was also a regular on Desperate Housewives and the web series Where the Bears Are, and has recurred on Awkward. and Parks and Recreation and done scores of guest spots on TV dramas and comedies. More recently, Tuc appeared on Broadway in the play The Boys in the Band and starred in the film Retake. Look forward to whatever he does next. I love me some Tuc Watkins since OLTL and more after having meet him in person on my 48th long time ago birthday. Cool guy in person so always cool. If you can find it, check him out in the 1997 movie “I Think I Do,” in which Tuc played a gay soap actor. A great movie with a nostalgic soundtrack filled with Partridge Family songs. THE GRAY BEARD AGES THAT BEAUTIFUL FACE..SADLY! I agree about the beard. Don’t understand why handsome men hide behind a lot of facial hair, grey or not. I’m a mustache man myself.